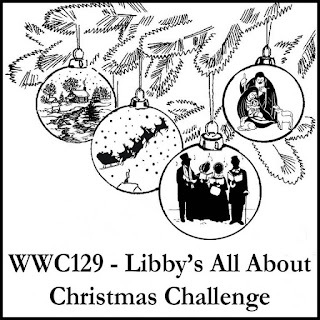 It's Christmas in July with this week's Watercooler Wednesday All About Christmas Challenge. Getting a jump start on my Christmas cards makes it so nice when it's time to get them ready for the mail. I don't have to stress about not having enough or having to make a bunch of them all at one time. And, that gives me time to concentrate on all the other fun things to do at that time of the year. For all the challenge details and to share your project, visit the Watercooler Wednesday Challenge by clicking the image below. We'd love to have you join us. You have until Monday, July 31st at 6:00 p.m. Central Time to link your project. Marsha your Poinsettia card is a perfect combination of colours and images for Christmas. The colours you chose for your backdrop really showcase the flowers and sentiment. Thanks for sharing.